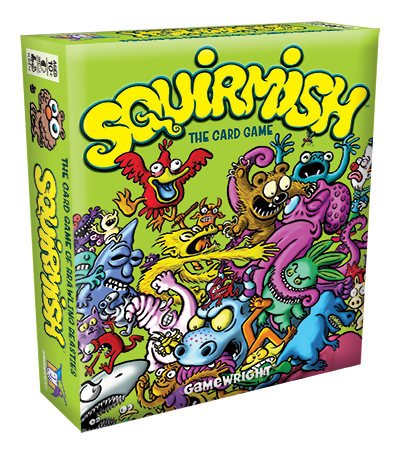 The Squirmish trailer is wonderfully entertaining, and has me enthusiastically wanting to meet all of the game’s characters. Are you going to make new characters or an expansion deck in the future? That is indeed the plan! I am currently neck-deep in working on an expansion set. Hopefully sales of the first set will be good enough to justify its publication. Hope you enjoy the game, William! Thanks for asking. We love the game and hope the expansion set is not too long of a wait. Thanks much, William! I sure hope so, too! A quick question. 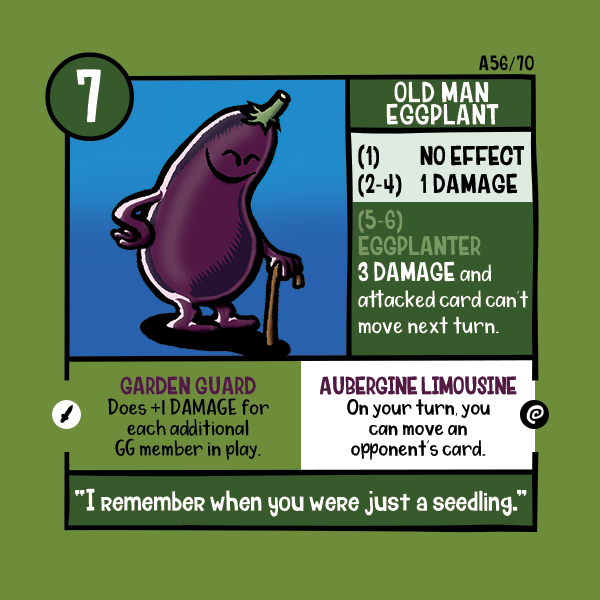 Old Man Eggplant doesn’t have anything noted for rolling a 5. Does nothing happen for him if one rolls a 5 or is there damage being done? 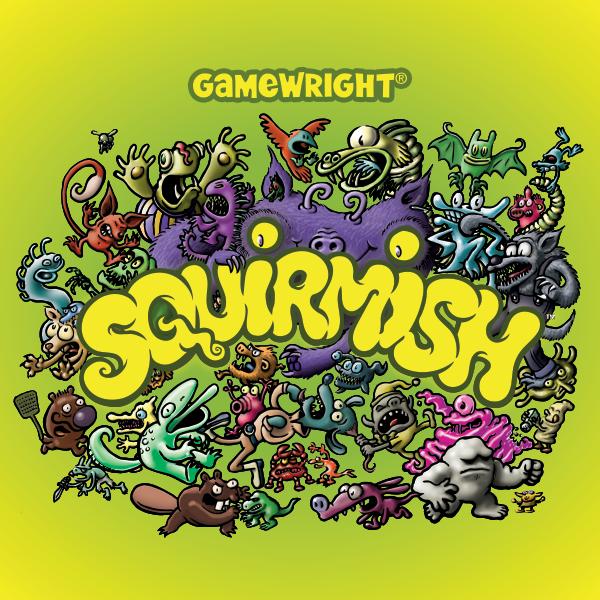 Next Next post: SQUIRMISH is now available for pre-order from Gamewright!